When they were set apart for a special mission by the Holy Spirit, Saul and Barnabas were functioning as elders in the church at Antioch. Before examining the first missionary journey I want to reflect a moment on this important but overlooked church. Likely as not, Hellenistic Jews who fled Jerusalem after the martyrdom of Stephen returned to their homes in Antioch and Damascus (Acts 11:19). 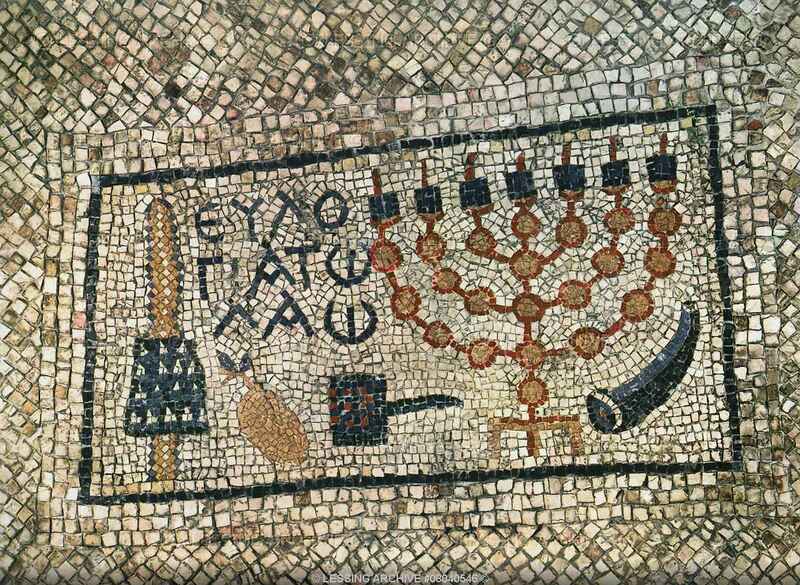 It is also possible that the Hellenistic Jews purposely shifted their ministry away from Jerusalem to Antioch since there were a large number of like-minded Jewish people in the city. The next most likely cities for Hellenistic Jews to spread the gospel in Greek Speaking Jewish synagogues would have been Antioch, Damascus, and Alexandria. Why there is no tradition of a similar movement in Alexandria is interesting since that is another place with a large number of Hellenistic Jews. That at least two of the Christians mentioned in Acts 13 are from North Africa is perhaps a hint that most of the Hellenists moved to Antioch rather than Egypt. 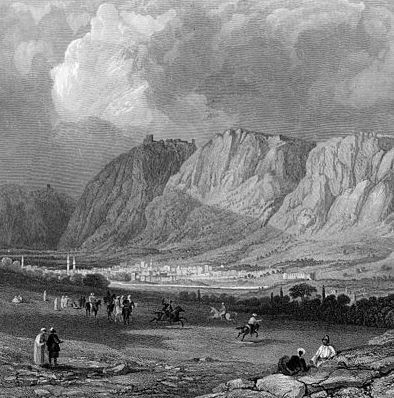 Schnabel cites Riesner as suggesting that the prosperity of Antioch was the motivating factor – these Christian Hellenistic Jews found a place where they could support themselves while participating in ministry in the synagogues of Antioch. The church at Antioch seems to have done ministry among the Gentiles, but it is unclear that the move beyond the synagogue and God-Fearing gentiles. Acts 11:19 indicates that initially they only spoke to Jews, but a few did speak to Hellenists (11:20). As in Acts 6, the word Hellenist likely refers only to Jews who spoke Greek, in contrast to the Jews who spoke Aramaic. While I cannot prove this, I suspect there were synagogues which used Aramaic, and others which used Greek. If this guess is close to the mark, then the same cultural divide found in Acts 6 was present in Antioch as well. The Jerusalem church sent Barnabas to Antioch to encourage the church to remain true to the word do the Lord (11:22-26). 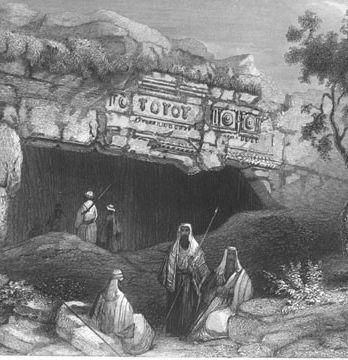 Schnabel points out that Barnabas was not simply an “inspector” from Jerusalem, but a “coordinator, missionary leader, and theological teacher (Early Christian Mission, 1:787).” Perhaps, but there may very well have been suspicion of the Antioch movement since non-Apostles are establishing local congregations. It is unlikely the congregations in Antioch made any attempt to reach Gentiles beyond the God-Fearing Gentiles. For Luke, Paul’s mission on Cyprus is the dramatic turning to the Gentiles. Nevertheless, Barnabas recognizes this as an opportunity for Saul and draws him into the ministry at Antioch. Saul was doing ministry among the gentiles prior to this, although Luke does not describe this ministry. Why bring Saul to Antioch? It may be as simple as Barnabas knowing that Saul would fit the situation in Antioch well. While these are Hellenistic Jews, they are not necessarily “liberal” on the Law. In fact, as I observed earlier in this series, the Hellenists may have been more conservative on the boundary markers than some of the Hebrew-speaking Jews in Jerusalem. As a former persecutor turned evangelist, Saul would have been a powerful testimony to the more conservative Jews. In a sense, Saul is the ultimate conservative Hellenistic Jew. 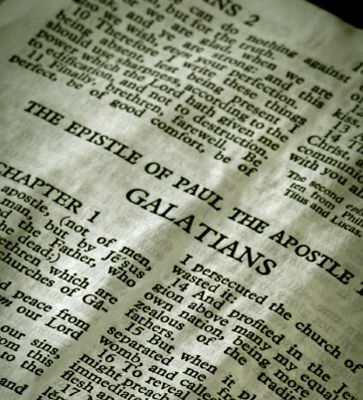 The main problem Paul addresses in the book of Galatians is the status of Gentiles in the current stage of salvation history. Are Gentiles converting to Judaism? The immediate occasion for the letter is a problem with Gentiles being forced to keep the Law by some persons coming from Jerusalem claiming to have authority from James. This Jewish party accepted Christ, but they held to a keeping of the Law in addition to faith in Jesus. Paul calls this a “new gospel” that is not really a gospel. 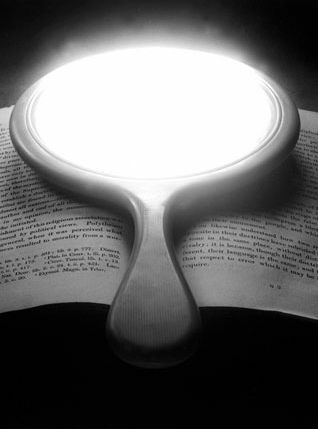 A third issue in the book concerns the status of the Law in the new age. If Paul has authority because he is called by Jesus personally to be the Apostle to the Gentiles, and if the Gentiles are really set free from the restrictions of the Law, what was the point of the Law in the first place? This is covered in the third and fourth chapters of the letter. What is missing from this letter is the status of the Law for Jewish Christians. 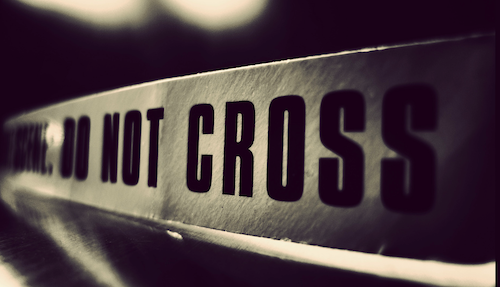 Should a Jewish Christian continue to keep the Law? They appear to have done so, but that is not really the issue that Paul treats in this letter. Finally, if Gentiles are freed from the Law, what is their motivation to behave in a moral and ethical way? Has Paul cut off the gentile from the Law so that they can live any way that they choose to? It appears that there were some believers in Paul’s churches who did in fact “sin that grace may abound,” or at the very least continued in some Gentile practices that were offensive to God. Rather than keep part of the Law (the so-called “moral law,” for example, or the Ten Commandments), Paul tells his readers that they are “in Christ” and that they ought to live like it. They are to “live by the Spirit” rather than the flesh. Paul covers this issue in the last two chapters of the letter. When did the earliest believers begin to question the “boundary markers” of Judaism? By “boundary markers” I mean primarily circumcision, food laws and keeping Sabbath. It is not really possible to describe Peter and John as preaching to Jews in the Temple that what Jesus did on the cross freed them from the Law. One reason for this is that there were few Jews who saw the Law as a slave master from which they longed to be free. For the men worshiping in the Temple, and likely for those in the Greek-Speaking Synagogue of the Freedmen, keeping the law was a privilege given to them by God. There were likely few Jews if any who would have relished the chance to throw off the constraints of the Law. In fact, the Maccabean Revolt indicates that the majority of Jews were willing to fight in order to be allowed to keep the Law! The boundary markers only became and issue after a significant number of Gentiles joined the church, likely in Antioch first, but certainly in Paul’s first churches in Galatia. Acts 11:20 indicates that the church at Antioch limited their evangelism to Jews until men from Cyprus came and evangelized the Hellenists. The noun Eλληνιστής refers to Greek speaking Jews (BDAG), not Greeks. The ESV footnote says that the word refers to Greek speaking non-Jews, but this explanation is not correct and misses the point Luke is trying to make. The Christians at Antioch are targeting both Hebrew/Aramaic speaking and Greek speaking Jews just like what was happening in Jerusalem until the persecution scattered the believers. So there is really no “questioning of the boundary markers” until the first Pauline mission, when the gospel is preached outside of the synagogue and Gentiles who were not already God-fearers accepted Jesus as savior. If the story ended in Acts 11, then Christianity would have been a sect of Judaism. As Paul and Barnabas moved into new territory they evangelized the Gentiles directly. After the initial contact in a town at the synagogue, the work of evangelism focused on the Gentiles of the community. The new church was expanding into areas that the Jewish church would not have naturally seen as their “mission field.” As Gentiles accepted Christ and began to fellowship with ethnic Jews, some problems arose primarily concerning the Gentiles not keeping of the Law. We know from Acts 10 that Peter was instructed by the Lord to preach the gospel to the Gentile Cornelius, a Roman Centurion and God-Fearer. Peter was hesitant to do so, and after he returns to Jerusalem the Jewish Christians there question Peter closely about why he had entered into the house of a Gentile. Peter appears to have understood that salvation was moving into the Gentile world. But Paul was doing more than preaching to God-Fearers in the synagogues who were keeping most of the Law in the first place. 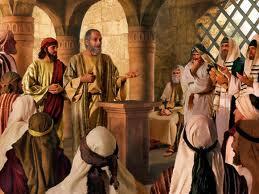 He was preaching the gospel to Gentiles and telling them that they did not have to keep the Law in order to be saved. This means that they did not have to worry about Jewish food laws or circumcision, two of the most fundamental boundary markers for the Jew in the first century. Darrell Bock makes an excellent observation concerning this “council,” it ought to be called a “consultation” rather than a council since this is not anything like the later “church councils” that decided doctrine for the church. This is quite true, although Bock does not take this far enough. Paul does not take his doctrine that Gentiles are not required to keep the Law to Jerusalem in order to have it approved by the apostolic community. He does not argue his case and accept the will of the apostolic community. Rather, he reports what it is that God has been doing and the “Judiazers” accept Paul’s position on the issue. Queen Helena’s Tomb by William Henry Bartlett. What is interesting here is that Izates desires zealously to embrace Judaism, and decides to be circumcised. Helena and the Jewish Ananias tries to dissuade him on the grounds that he is a king, and the people will not accept the rule of a king that practices a foreign religion. Ananias seems to be arguing that if there is a mortal danger, circumcision can be ignored (if the person as a hemophiliac, for example.) Since allowing himself to be circumcised might lead to the rebellion of his people and the loss of his and his family’s life, Ananias recommends that he not be circumcised. After Izates decides to forgo circumcision, another Jew Eleazar, described as being “extremely strict” with respect to the Law, tells Izates that he is breaking the Law if he does not submit to circumcision. Izates does immediately receive circumcision, and Josephus tells us that God preserves him in the dangers he faces later in life because he obeyed the Law fully! In the Loeb Edition of Josephus there is a lengthy footnote on this story. A few scholars have drawn attention to the fact that the debate between Ananias and Eleazar reflects the two schools of rabbinic thought in the first century, that of Hillel and Shammai, with respect to circumcision. In Talmud Yebamot 46 a there is a description of a Rabbi Joshua who taught that only baptism was necessary for a Gentile convert, and the Rabbi Eleazar who argued that circumcision was necessary for the Gentile convert. J. Klausner argued that the dichotomy between Joshua and Eleazar is similar to that of Paul/Barnabas and Peter/James (as suggested by Klausner), but this may be reading the Paul / Peter relationship as a strict dichotomy alá Bauer. Does this story from Josephus help illustrate what is at stake in Acts 15 and Galatians? Bibliography: Schiffman in Jewish and Christian Self-Definition Volume 2 (Philadelphia: Fortress, 1981), 115-156, especially 125-127; J. Klausner, From Jesus to Paul (1943), 39-40.